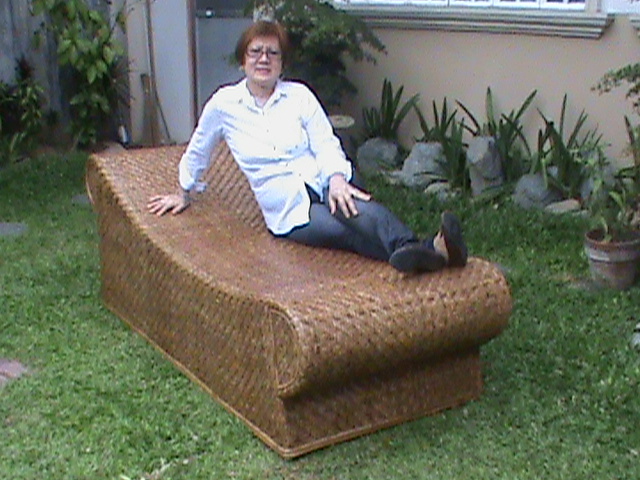 Making rattan furniture or wicker furniture and other crafts from wicker can be traced back as early as the dawn of civilization in Asia, some parts of Africa, and Australia. Brought about by necessity and expert craftsmanship, early settlers from these continents have genuinely discovered the full potential of this wild vine. Today, rattan craft and other uniquely made items have been the favorite home accent, furniture, and display. With the uprising trend towards opting for plastics, metals, glass, and fabric furniture, it is nice to note that a lot of homeowners and businesses as well appreciate and would still go for the traditional wicker designs. Items made out of this natural crafting material are equally and most of the time, of better quality than our ordinary household furniture, adding to the fact that these precious crafts are more soothing or pleasing to the eyes. A home or an establishment adorned with a touch of rattan craft, wicker furniture, or perhaps rattan garden furniture, would definitely look gorgeous. Most business establishments like restaurants choose their chairs and tables to be made out of this material. The most modern buildings interiors wouldn’t be complete without a single wicker furniture visible. Another main reason why people turn these natural furnishings is that these items generally lasts longer. They are so much durable that they can withstand the owner’s lifetime. There have been records that some rattan furnitures made a century ago were still serving their purpose, that is, this crafts could last 20, 50, 100 or more years. Wicker craft and furniture’s strength and beauty also amplifies as time goes by. Most people may be puzzled what rattan craft is all about. Foremost, it is a thriving and booming industry where most indigenous people of Southeast Asia source out their daily income, businessmen on the other hand sees it as one of the best opportunities especially due to the great Western demand. It is a booming industry since a lot of modernized culture and people tend to go back to the basics, to appreciate more what nature can give. It is also an art as evidenced by the skillful and crafty talents applied during processing and making, and definitely on the appearance and designs of the end products or resulting pieces. Aside from providing the best of crafted items, furnitures, and displays to the world, rattancraft.com is dedicated to bring to the public utmost knowledge and benefits that can be derived out of this traditional crafting and building material. With every item we provide, clients would be assured of the quality and the best craftsmanship they deserve. We adhere to the purpose of providing you with the best rattan craft experience for you to achieve a much happier and more traditionally crafted lifestyle! Rattancraft.com © 2019. All Rights Reserved.